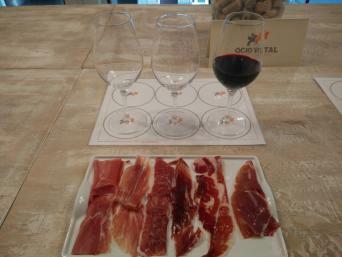 We will visit the new center dedicated to Gastronomy in the city center where you will learn how these fine products are produced, we will taste 6 different kinds of ham to appreciate its fine tastes, textures, its health-promoting qualities, according to the origin, raising and feeding of the pigs. 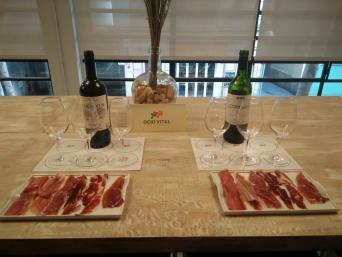 Taste five wines from different regions of Spain. 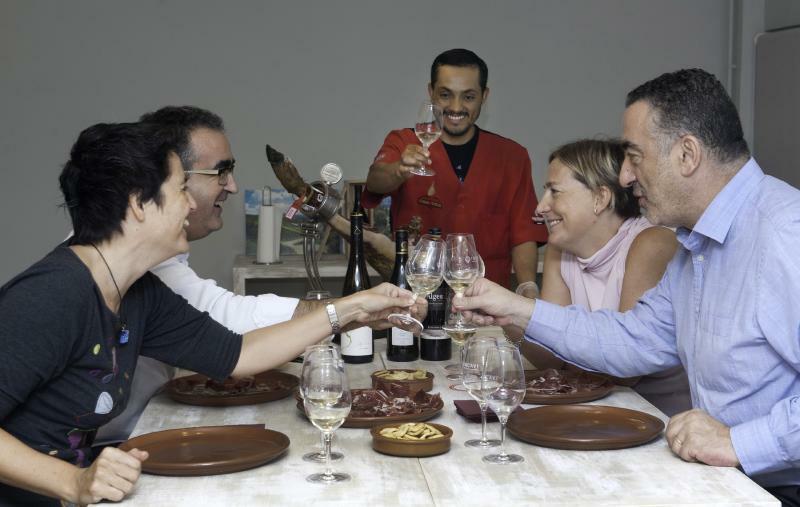 Your expert host will guide you through the wine tasting process to teach you how to fully appreciate the wines being served. After the wine tasting, lunch in a nearby restaurant. Learn how to food cheese with wine and discover the reasons behind why certain flavors go better together. 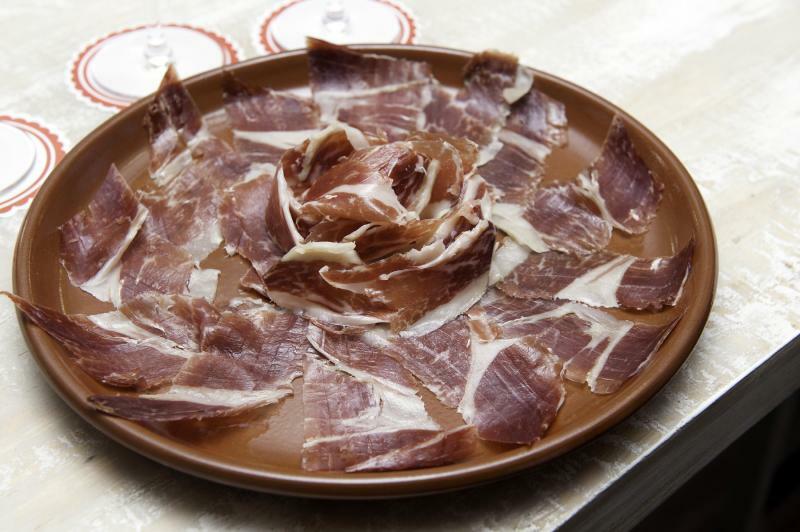 In addition, enjoy some tasty charcuterie (cured meats), including Acorn feed Iberian Ham, artisan cheese and the world famous Manchego cheese with our unique traditional bread. This fun and informative lunchtime tour in Barcelona will give you a unique insight into Spain’s famous culinary traditions, and will surely delight your senses!